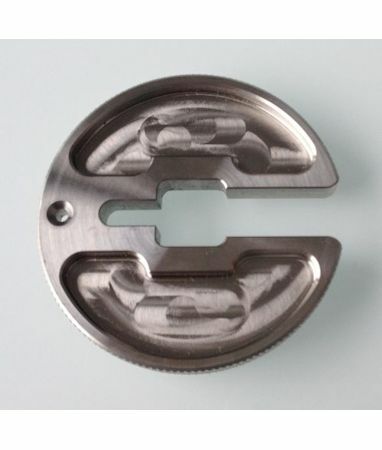 Stainless steel Rig Spinner for Ronstan turnbuckles. The edge of the spinning tool is etched to ensure a good grip in all conditions no matter what your glove choice is. Made from 316 stainless so it won't rust. The disc also comes with a pre drilled hole to allow a securing line to be attached.